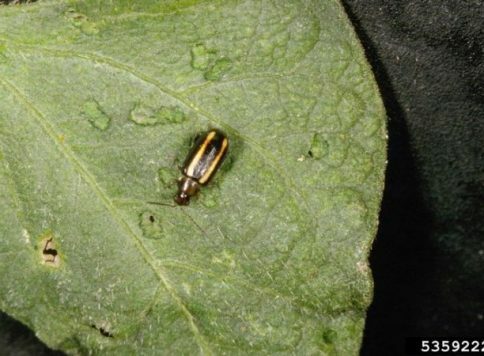 Wide variety of flea beetles include: banded flea beetle, cabbage flea beetle, corn flea beetle (transmits bacterial wilt of corn), desert flea beetle, eggplant flea beetle, hop flea beetle, pale striped flea beetle, red-headed flea beetle, potato flea beetle, sinuate flea beetle, spinach flea beetle, striped flea beetle, sweet potato flea beetle, tobacco flea beetle, toothed flea beetle, tuber flea beetle, western black flea beetle, western striped flea beetle, and western potato flea beetle. 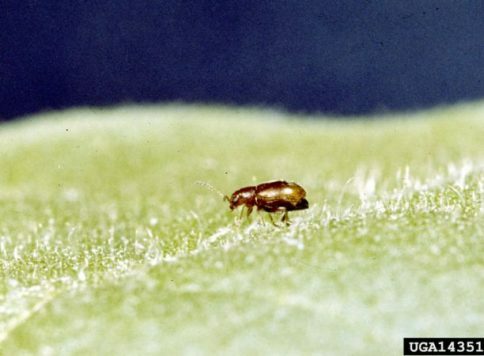 Different flea beetles have different host ranges. 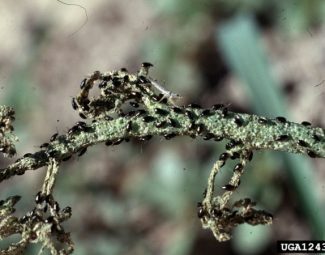 Many species are limited to a few specific plant hosts. 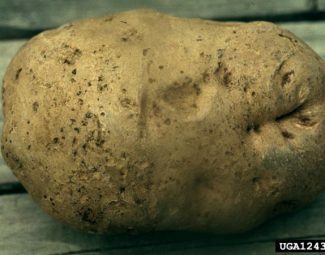 Host crops include: tobacco, horseradish, watermelons, pumpkins, peas, beans, eggplants, sweet potatoes, beets, spinach, and potatoes. Nappa Cabbage, gai choy, and choy sum are some of the most preferred crop hosts. Strong fliers and can travel long distances to find suitable host crops. Consistently warm spring weather is ideal for population development. Conversely, wide fluctuations in temps. with occasional rain in the spring retard population development. 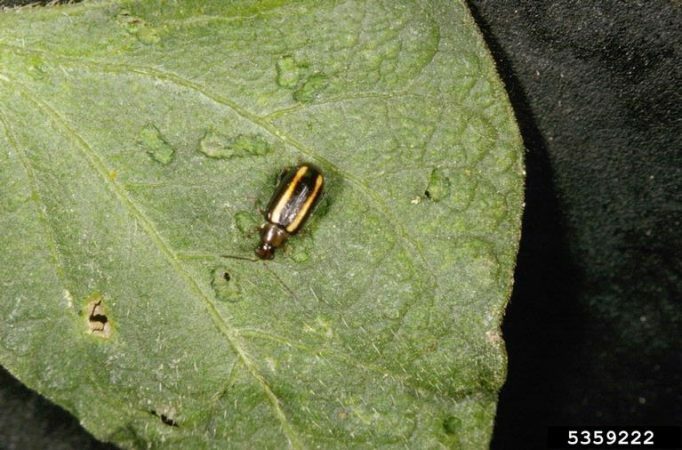 Larval stage not considered an economic threat except for tuber flea beetle in potatoes. Name comes from ability to jump from predators or other disturbances. Adults can cause serious injury to new seedlings. 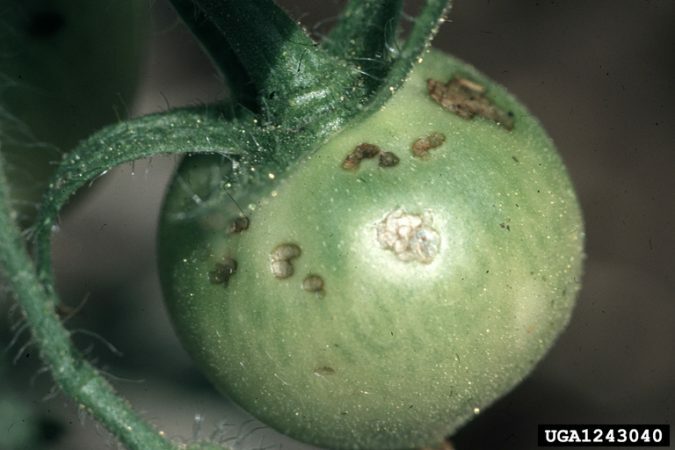 Can also cause significant cosmetic damage to leafy vegetables and ornamentals. 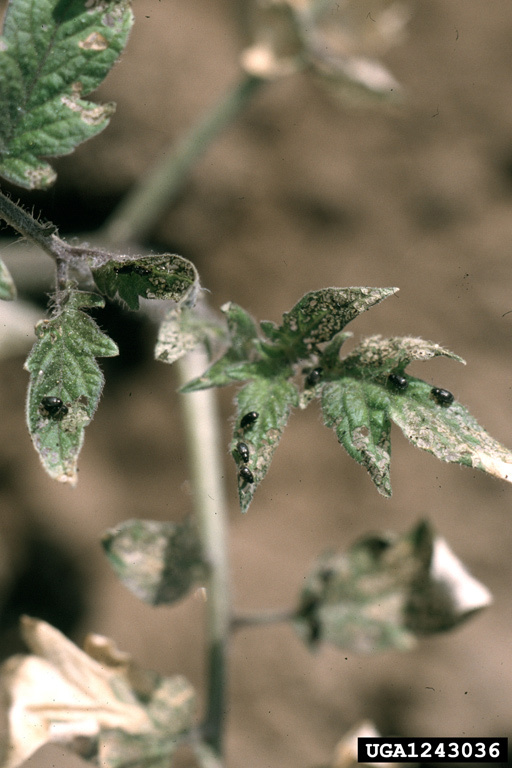 Other crops can take up to 10-20% loss in mature foliage without significant yield loss. 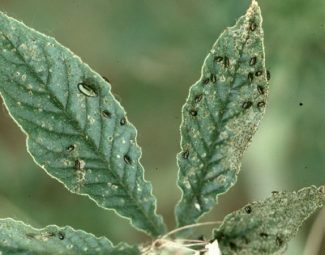 However, large infestations can rapidly defoliate mature plants. 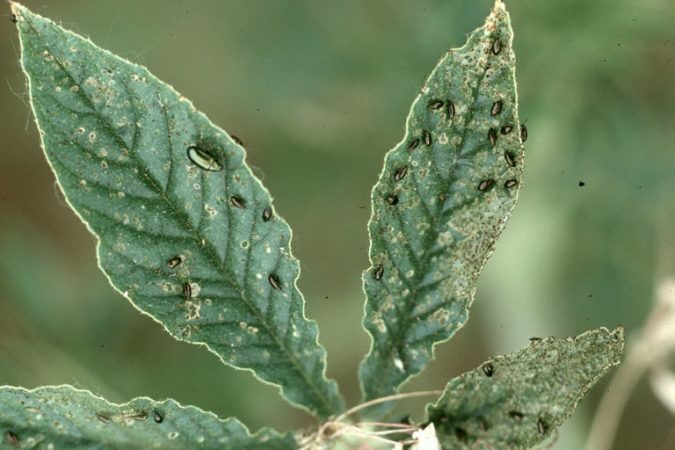 In broadleaf hosts, adult feeding creates “shot holes” in leaves similar to shotgun holes. 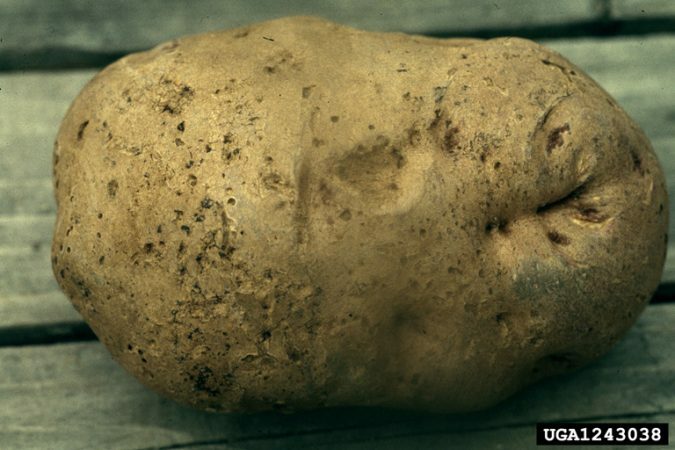 Feeding on monocots creates “windowed” effect by feeding on all but the upper epidermis. Typically, monocot damage will have a zigzag-feeding pattern. 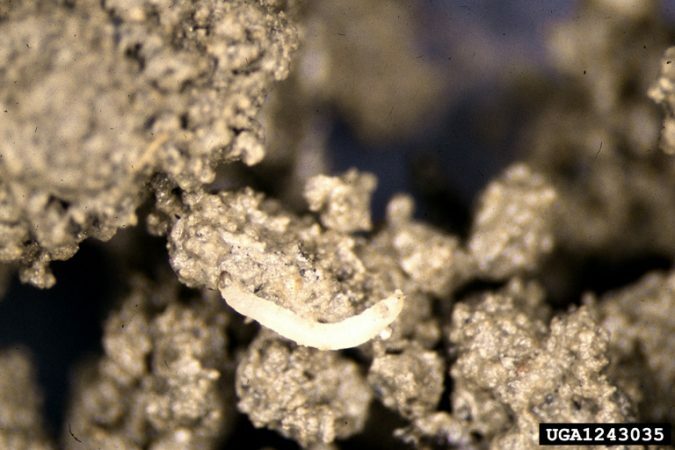 Eggs… Can be laid singly or in clusters depending on species. 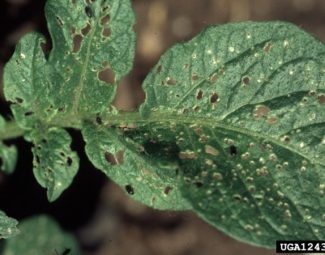 Location on egg lay varies among species, but can be found leaves, within holes chewed in leaves, soil, or petioles. Larva… Most species feed on roots and root hairs. Over-winter as adult beetles in the ground, litter piles and other insulating materials. Begin to become active with warm temperatures in spring. 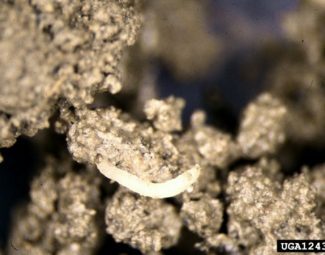 Will feed on alternate weed hosts when available until preferred host crops are found. Yellow-colored sticky traps can be used to monitor adults. 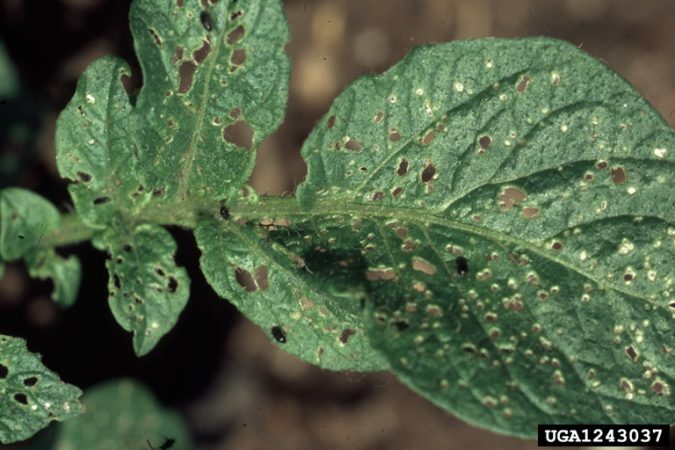 Inspect foliage for “shot hole” adult feeding damage in dicots, especially during the most vulnerable seedling stage. 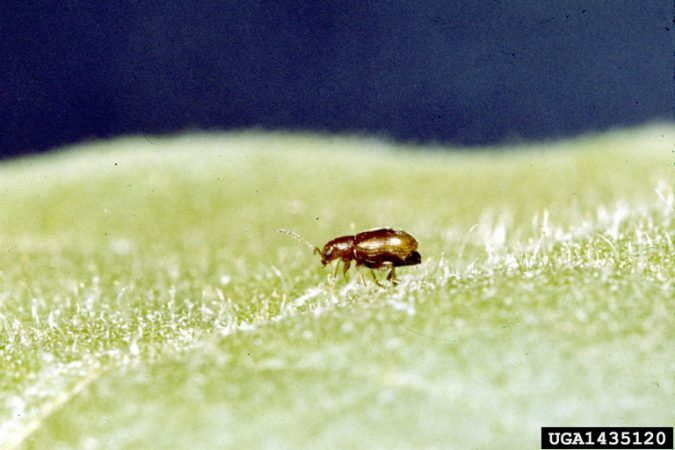 Several native parasitoids and predators exist that limit populations of flea beetles. 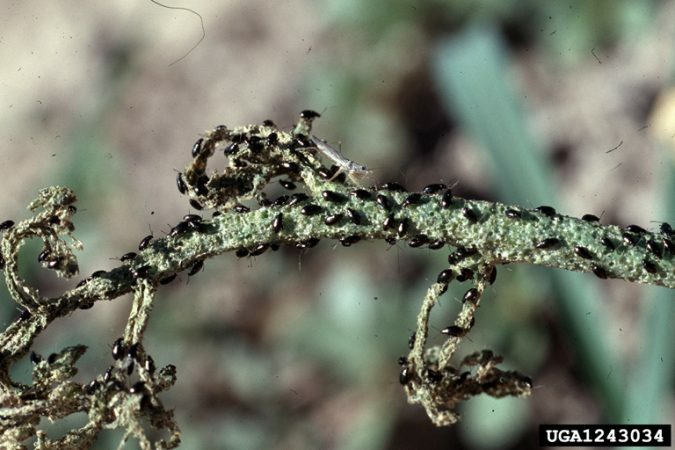 Among them are: Microcotonus vittage and big-eyed bugs. Maintain adequate amounts of moisture. Chinese Southern Giant Mustard and radishes such as Chinese Daikon and Snow Belle are extremely attractive to some flea beetle species and can be inter-planted or planted around the perimeter of fields and gardens respectively. They can serve as trap crops. 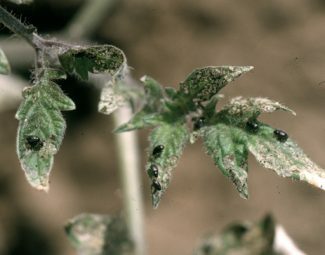 Onion and mint are said by the U.S. Natural Resources Conservation Service (NRCS) to have some repellant properties to flea beetles. Inspect transplants for signs of infestation before purchase. Cover seedlings with floating row screens to protect most vulnerable seedling stage. However, emerging populations from previous crops may infest plants underneath screens. Destroy vegetative materials and crop residue immediately after harvest. Do not allow infested material to serve as over-wintering sites. Control or mow weeds that serve as hosts. Varieties with early vigor may minimize exposure of plants to most vulnerable seedling stage. Delayed spring planting in warmer temperatures may also have the same effect.